This inclues 4 x 16-bit expansion slots plus 3 x 8-bit slots (ISA type). Dated 04/87. 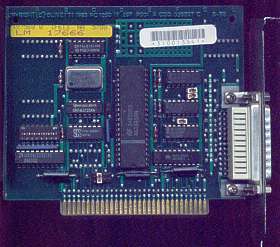 Another M24 riser card also exists (actually, two smaller cards), featuring 1 x 16-bit and 2 x 8-bit slots. Brand unkn. (but common on M24s). 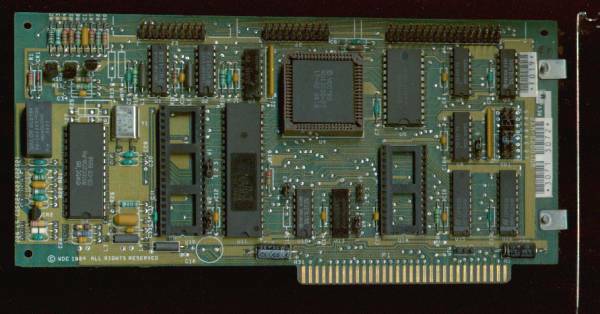 Features 384 Kb of RAM (one bank 256Kb x 9, two banks 64 Kb x 9), chips are dated 8635 in this ex. Only useful with early 256 Kb M24 models (later exs. had 640 Kb on board). PC1050 IF 297 (IF613 on sticker). Dated 5/88.